Preliminary ProceduresDrain the cooling system. 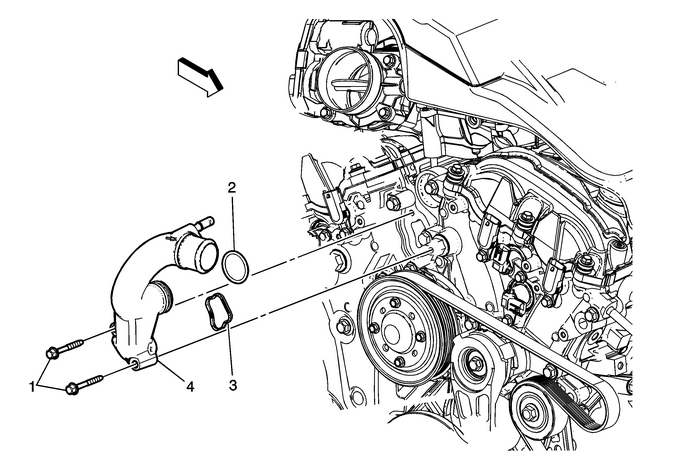 Refer toCooling System Draining and Filling.Remove the right engine mount bracket. Refer toEngine Mount Bracket Replacement - Right Side.Remove the air cleaner. Refer toAir Cleaner Assembly Replacement. Note:Clean the mating surfaces, replace the seal and gasket.